Mehboob khan's "Mother India" is India's first submission to the Oscars and quite deservingly, it won a nomination also in the "Best Foreign film" category. It not only received a nomination but also gave a stiff competition to Federico Fellini's "Nights of Cabiria", that the jury voted for as many as three times and it is only the third time "Nights of Cabiria" emerged the winner by a margin of just one vote. Such is the greatness of this still-favourite-of-many classic. 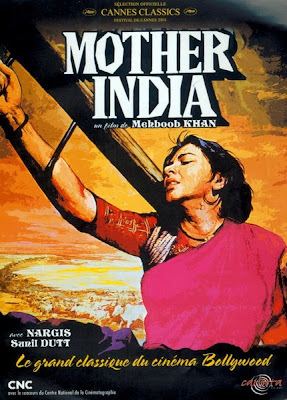 "Mother India" is the saga of a woman – Radha (Nargis Dutt). 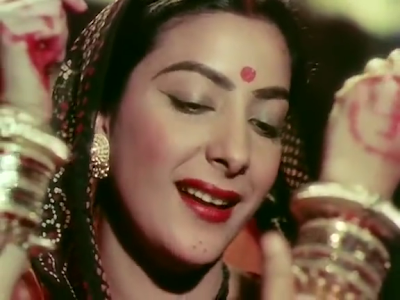 Radha enters the village as a newly wed bride with her husband Shamu (Raaj Kumar). There's an evil-headed money lender, Sukhilal who exploits the illiterate family and carries away the reaps from their farmland, as the interest for the money he has loaned, every year after the harvest. The family turns immensely poor and tragically, Shamu loses his hands in an accident & walks away from the family. Then, it's all about Radha's struggles with poverty & raising up her two sons, Birju and Ramu and Birju's revolt against the atrocities of the money lender Sukhilal. The first part of the film is all about poverty and struggles. 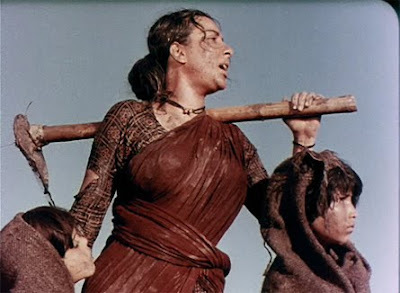 There was a lot of hopelessness & despair and Nargis scores heavily with these sequences. Portrayed with a sheer sense of motherhood, patience and sacrificial attitudes – Nargis stands tall and evokes a lot of sympathy in the viewer. The film provides a vivid and colourful picture of India of the 50s. The villages, traditional and cultural values in the society, healthy dependence on Agriculture (backbone of India's economy), Construction of dams, tanks and canals (Temples of Modern India, as Nehru refers to) etc - India in its infancy of growth and development. Then there's this famous fire scene, which has been re-enacted in "Om Shanti Om", with SRK and Deepika. During the shoot of a fire sequence for the film, Nargis was caught between the flames and Sunil Dutt (plays Nargis' son in the movie) saved her and the two got close that it ended up in their marriage. One of the signature scene sequences of the 50s and 60s films should be, the closeup shots of the heroine's face. The heroines would be heavily made up so fair and with thick red lipstick, a real curvy and dark eyebrows, black dots on the chin (dhrushti) and then they would be shot with that girlishness covering up one half of their face with one hand – "Nalina"and "Naanam". There's one such sequence here and it was beautiful. A colour film in the 50s – The film is a Indo-Russian co-production. The film's international vision could be seen by the fact that the title cards and credits are fully in English and not in Hindi. The film is technically wonderful considering the fact that it is made 52 years back - Crops and farms are photographed quite beautifully, Depiction of a flood is really good, Editing and scene-transitions though seem trivial now, would have been very well ahead of the times during 50s. More than anything, it provides a cinematic and filmy feel, when the Indian films of the period were considered stage-playish and dialogue-centric. It definitely conveys things with that "cinematic language". The length of the movie is something that might haunt you. It runs for about 3 hours – short by 6 minutes. Honestly speaking, the last one hour had a lot of drag-ons and I felt there are more than one unnecessary scene sequences. But, again you can never be in the shoes of a 50s cinema viewer. The realistic portrayal of poverty in the first half and Nargis' performance are the sure highnotes of the film. Though the film has stood the test of the times, I still feel it hasn't really got a lot of cinema to offer to a modern cinema viewer of our generation. After all, It's been more than half a century since it was made. Swathi Muthyam (1985) by K.Vishwanath is India's Oscar submission for the 1986 edition. The film starred Kamal Haasan and Radhika and it was dubbed in Tamil as "Sippikkul Muthu". Sankarabharanam (1979), Saagara Sangamam (1983) [Salangai Oli in tamil] and Swathi Muthyam (1985) are three important films by Vishwanath, which redefined the telugu cinema audience's taste. All the three were made with that "auteur" sense, which we more commonly call "Art films". The first one Sankarabharanam won a National award while the last two have been India's Oscar submissions. 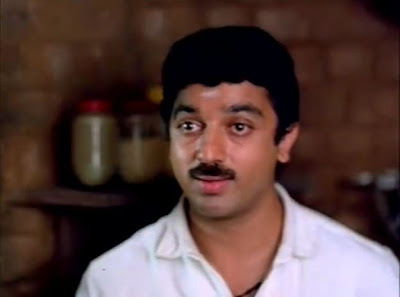 In "Sippikkul Muthu", Kamal Haasan plays an autistic person (retarded mental growth) with no real knowledge and understanding of whatsoever thing, he comes across. He develops a child like affection towards a widow (Radhika) & her son in the village and one fine day, ties the nuptial knot (to her surprise) to pull her out of her woes. The way he matures up and leads a meaningful life for his wife & her son , forms the rest of the plot. Yet another good performance from Kamalhaasan and Radhika is no less. Beautiful songs, wonderful music - "Varam thantha saamikku" is still used by mothers as they feed their young ones. Definitely, A good film it is. One thing that haunted me through out is the dubbed voice for Kamal in the tamil version, Sippikkul Muthu. We are so used to that manly Kamal voice that we miss it in this movie. And it was difficult in the beginning to get along with this dubbed one. So... It's "Harishchandrachi Factory", a Marathi feature that is expected to bring that coveted "golden lady" to India for the first time in "Best Foreign Film" category. And what is more delightful is that the film is on Dadasaheb Phalke, rightly considered the father of Indian Cinema. It depicts the struggle of Dadasaheb Phalke in making "Raja Harishchandra" in 1913, India's first feature film, thus the birth of Indian cinema (Wiki says so). And, while I am writing this - Germany's official entry has been announced and it is none other than the Palme d'Or winner at the Cannes 2009 - "Das weiße Band" or "The White Ribbon". So, I expect it to receive a nomination and if at all our film also receives a nomination - It will be a Herculean competition. For this very reason - I respect the "Best Foreign film" winner at Oscar more than the "Best film" Oscar. The Best film oscar is fairly simple that it mostly (more than 95%) considers the Hollywood productions & English language films. And the real competition is at the "Best Foreign film" category where you have to first fight with the best cinematic works of each country to reach the final five. Once you have won a nomination, then it is all about "First among equals", I beleive. Of course, when you send a film like "Jeans" to the Oscars to speak about your cinema's valour to the west, the task becomes very simple for the jury to rule out stuff. "Jeans" over "Satya" in 1998 and "Paheli" over "Hazaaron Khwaishein aisi" in 2005 are a very few mentions of the horrendous blunders committed by the selection committee in India. Can you imagine the fact that two of the Shankar's films have been sent to Oscars from India next only to Satyajit Ray's three. Enna Koduma Saravanan idhu !!! Past is Past ... All the best Harishchandrachi Factory !!! Really a great research and I see ur involvement in this regard. Let your writing continue and reach new heights! Especially that portion on MGR was astounding! and bonus: very exclusive photos I have never seen [most people wouldn't]. Thanks also for net which made it possible.